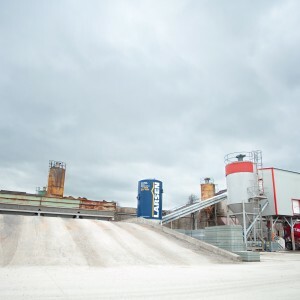 Tandragee, County Armagh, 3 April 2015 – Rapid International Ltd (Tandragee, County Armagh) has recently supplied Ty-Rock, a leading Northern Irish producer of ready mix and precast concrete products, with a new upgrade to their stationary concrete batching plant. 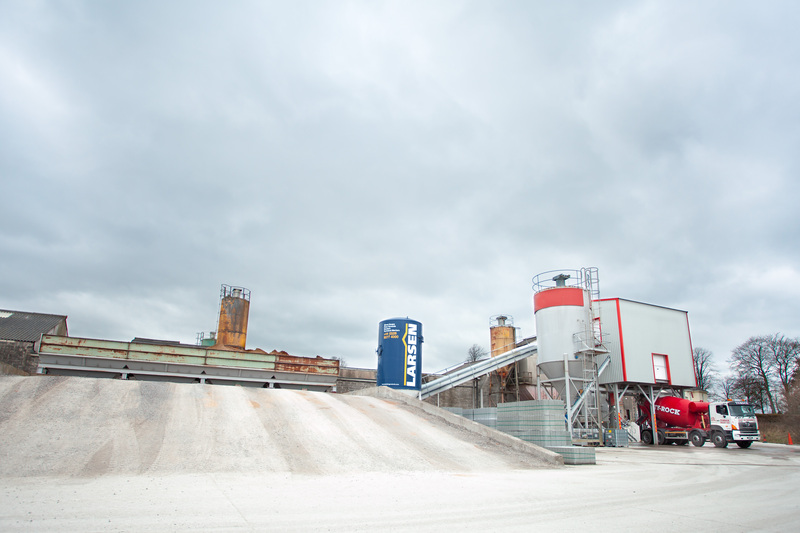 The new additions and upgrades on the batching plant, situated at the company’s County Armagh site, has enabled Ty-Rock to vastly increase its output capabilities. After experiencing an upsurge in demand and having been already satisfied with the performance of their existing 1.0m3 Rapid Pan Mixer, Ty-Rock opted for Rapid to upgrade the plant to allow for greater output levels and flexibility. The primary works carried out involved the installation of a new Rapid R3000 3.0m3 Pan Mixer contained within a new fully cladded mixer platform. Modifications included upgrades to the existing weighed belt, extension to conveyor from weighed belt to mixer platform, installation of a new aggregate holding hopper, and Rapid’s very own high pressure mixer washout system. Additional features were also included to allow Ty-Rock to be flexible in producing a variety of products from their range. This included a movable wet-batch hopper. A ready mix extension chute was also designed in to allow better service for ready mix collections. At the heart of the new plant is the Rapid R3000 Pan Mixer, capable of producing output batches of 3.0m3. The mixer has been specifically designed with the ready mix industry in mind, offering high outputs and fast discharge time. Durable chill cast tiles, wear sleeves and paddles are supplied as standard, as are heavy duty discharge door mechanisms. Safety concerns are mitigated with spring tensioned mixing arms. The mixer is complete with an up-rated gearbox, supplied by a specialist gearbox manufacturer. In addition, Ty-Rock opted to have their new Rapid pan mixer fitted with a jet wash head, allowing for integration with a Rapid Jetwash system for high pressure mixer cleaning. Established in 1969, County Armagh based Rapid International delivers high quality, reliable equipment to the concrete, construction and environmental industries. Today, with a presence in more than twenty countries worldwide via an ever expanding international dealer network, Rapid is a trusted partner to a wide variety of customers ranging from multinational construction groups to small concrete producers. Rapid’s vast experience over the last four decades ensures the highest quality design and manufacture of all equipment. Quality, reliability, efficiency and technological advancement are the greatest aims of Rapid’s workforce, based at its impressive 50,000 sq ft production facility and headquarters in County Armagh, Northern Ireland. Always innovating, Rapid’s emphasis on product development is driven by the needs of its wide reaching customer base, and the company’s in-house technical team consistently strive to meet the demands of total quality while exceeding customers’ expectations. Address: 297 Tandragee Road, Portadown, County Armagh.